First introduced in Konami’s 1999 Silent Hill, the mysterious fictional rural town of Silent Hill has physically appeared and been traversed in 6 of the 7 mainline game titles released, as well as being the inspiration for the film and comics’ setting. Portrayed as what could be considered an archetypal New England tourist town, Silent Hill is shown throughout the course of the series to be anything but ordinary. Its chief industries are tourism and, to a lesser extent, agriculture. It is a small town with a population below 30,000, and its key industry – tourism – is in a state of steady decline. Some of the town’s conservative residents oppose modernization and the transformation of the town into a tourist attraction, and although Silent Hill appears at a glance to be an innocuous rural town, this has brought about an unexpected darkness of drug distribution. A religious doomsday cult of a considerable scale known as the Order exists behind the scenes. “	The name of that town is Silent Hill. Although it is known as a scenic resort area, it is a cursed place where the town’s former inhabitants were once driven away, brutal executions were once carried out, and a mysterious plague was once prevalent. And according to those who have seen them, there are also times when “things” that should not naturally exist appear. Here and now, looking back on it all, let’s elucidate these mysteries one by one. Built along the shores of Toluca Lake, Silent Hill appears to be a mid-sized town. Surrounded by wooded hills and rivers, it has become a destination for fisherman and boaters. Silent Hill is bisected, horizontally, by the lake. Because of this, one can find the district of Paleville in the northern area and South Vale on the opposing lake shore. As one approaches Silent Hill from the east along Nathan Avenue, also known as County Road 73, an Observation Deck can be accessed, affording a fine panoramic view of Toluca Lake and the surrounding woodland. A prominent welcome sign is also on display near one of the entrances, serving to welcome newcomers upon their arrival. As stated above, Silent Hill is divided up into two distinct districts, each catering to varying demographics of the population. With each new game that explores the Silent Hill area, its layout typically changes, be it in the form of new streets, new buildings replacing old, or entire sections being added to it. This is seen in Silent Hill: Homecoming and Silent Hill: Downpour. Paleville – The northern section of town. It includes Old Silent Hill, as well as Central Silent Hill and the Resort Area. South Vale – The southern section of town, first introduced in Silent Hill 2 and revisited in Silent Hill 3. Silent Hill is located in Maine, New England; Maine is the most north-eastern state of the United States of America. Although its precise location was ambiguous for a long time, several hints implied Silent Hill to be in Maine throughout the series. *The Japanese publication The Book of Lost Memories, as well as the instruction manuals for Silent Hill, Silent Hill: Origins and Silent Hill: Homecoming, all have stated that the town is located in New England. *In Silent Hill: Homecoming, there is a book shelf which contains information about mining towns of New England in Shepherd’s Glen Town Hall. *Inside of the liner notes for the Japanese release of Silent Hill 4: The Room’s soundtrack, an address is given for the Heaven’s Night club that would have placed it in Maine. Further information can be found in Silent Hill 3; after Harry Mason left Silent Hill, he and Heather Mason moved to Portland, also sharing its name with Portland, Maine. *In addition, Portland is Stephen King’s hometown. The series has many homages to Stephen King such as “Bachman Road”, and Carrie and Pet Sematary posters. *In Hiroyuki Owaku’s (scenario writer of the first games in the series) Double Under Dusk, Silent Hill is placed in Maine. The two protagonists, Brian and Lindsay, are from Augusta and Orono, respectively. *In the trailer of Silent Hill: Downpour, a bus is seen bearing a Maine license plate. *Additionally, a road sign bears the Interstate 95 logo, a highway that runs through, and ends in Maine. *The Gillespie House is based on the real life Olson House, which is located in Cushing, Maine. Going back well before European explorers arrived in the Americas, Silent Hill’s history is plentiful. A great deal of its past involves the various religious/occult rituals that had been conducted in the area in the past, and continue to be conducted in the present, usually, but not always, by members of the Order. While Toluca Lake and the area around it has always seemed to be a place of strange activity, it seems that this activity can be separated into two distinct phases. This first is the series of events prior to the 20th century, such as it being under control of natives and the arrival of European settlers, leading to the founding of Silent Hill. The second phase is a series of events beginning in the latter half of the 20th century, seeming to culminate, at present, with the events seen in Silent Hill: Homecoming. The area in and around Silent Hill has a history going back over four centuries, before the time of England’s proper colonization of America. To the local tribes of Native Americans, the Toluca Lake area had been known as “The Place of Silenced Spirits”, and was long considered to have a kind of spiritual significance and an air of mysterious power. It was considered to be a holy place, where many rituals were conducted in accordance with the indigenous beliefs. A particular tribe who worshipped a deity known as Kwekwasawe referred to the area as Kwekwasawe Kanesda, meaning “Nest of the Raven” in their native language. With the first permanent British Colony instituted at Jamestown, it was only a matter of time before colonists would make their way to this “Place of Silenced Spirits.” The late 1600s saw the arrival of settlers who would force the indigenous people from their sacred lands. These settlers would remain in the area until the turn of the century. At the start of the 1700s, nearly a century after British colonization of America began, an epidemic swept through the area surrounding Toluca Lake, including the burgeoning settlement that would, in time, become known as Silent Hill. With a large portion of the populace dead, the settlement was abandoned. It was not until after the start of the 19th century that resettlement began. After a century or so, a penal colony was established near Toluca Lake. Named “Silent Hill” for the first time under its occupation by non-natives, it is unknown if the name was based on the original designation for the area. As a penal colony, both a prison and hospital were established. This led to the establishments of Silent Hill Prison and Brookhaven Hospital. At this time, a second epidemic threatened the town. Brookhaven Hospital was put to great use during those dark times. Weakened by the newest bout of plague, Silent Hill Prison was closed around 1840, further diminishing the town. With the arrival of the 1850s, however, came the discovery of a coal field beneath Silent Hill. This caused a great resurgence of interest in the area and improvements in economy, leading to the revitalization of the town. During the later years of the 19th century, four families left Silent Hill, going on to found the neighboring settlement of Shepherd’s Glen. In 1861 the American Civil War broke out, influencing the development of Silent Hill for the duration of the conflict. During 1862, Toluca Prison was constructed as a camp for POWs, and was later converted into a formal correctional facility with the conclusion of the war. Tragedy struck again when, around 1890, people began to mysteriously vanish from Silent Hill. At the turn of the century, Toluca Prison was closed, and Silent Hill was re-imaged as a tourist destination. The final century before the new millennium seemed to bring with it the largest spike of strange activity yet to befall Silent Hill and the surrounding area. It was during this period that the Order, a cult that seems to have incorporated a combination of beliefs (including those of the natives), reached its influential peak, as well as what seemed to be the strengthening (and corruption) of the power that had long existed in the area. Toluca Prison was closed down, and the Silent Hill Historical Society was built on its former site. During this time, the Wiltse Coal Mine was mined dry as well. 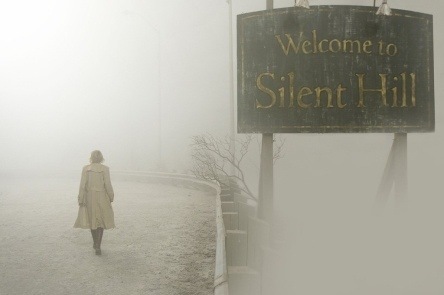 With the prison no longer functioning and the coal mines closed, a new source of revenue was needed, and Silent Hill was reinvented as a tourist town. During 1918, one of the first tourist accidents occurred on Toluca Lake; a ship known as The Little Baroness went missing and its fate was unknown. Strange happenings were fated to occur on the lake for the remainder of the century. The first marked event of the latter half of the 20th century was speculation surrounding a series of consecutive deaths. Occurring twenty years prior to the events of Silent Hill, staff members of a company responsible for promoting Silent Hill as a family-friendly tourist destination are found dead. Ruled as accidents, it’s currently unknown how close together the deaths were, though they most likely would have been days apart, given the sensationalism that surrounded them. Shortly after occurring, rumors began to circulate that the town’s religious cult may have been involved, though nothing was proven. Six years would pass before any other noteworthy events occurred, and even then their significance wouldn’t be realized until the events of Silent Hill: Origins. The event in question was the birth of Alessa Gillespie. The young girl would come to affect a great many things and people in the area. With her strong connection to the paranormal, the area of Silent Hill would be stricken with what many consider a curse, seeming to attract those who hold darkness close to their hearts. Two years after Alessa’s birth, a young girl named Claudia Wolf was born. Both girls would find camaraderie in their shared faith. This relationship would play heavily into each of their respective fates. Shortly after the fire that lead to Alessa’s injuries, a drug known as PTV begins to circulate through the town. Derived from a local plant known as White Claudia, the drug was a source of income for all parties involved, chief among them being the Order. The largest customer base for the drug could be found among those touring to the area, and with cooperation from Silent Hill’s Alchemilla Hospital, large-scale production of the drug was implemented. In an effort to combat its distribution, a formal criminal investigation began, with personal involvement of the mayor’s office following soon after. Both the investigator responsible for drawing attention to the matter and the mayor at that time would soon be found dead. Having always been thought of as a place with unexplained powers, it was for this reason that the Native American tribes came to the area to begin with. With the arrival of colonists and the plague that followed them, this strange presence was seemingly warped and strengthened. This warping and strengthening would occur again and again over the next four centuries, until the immolation of Alessa Gillespie. It is likely that the half of her soul that remained in Silent Hill had manifested itself into the town itself. For this reason, Silent Hill itself could actually be considered a living entity that calls out to those who hold darkness close to their hearts. Based on the many endings of the games, Silent Hill may call out to these people because it has intentions of its own. Silent Hill manifested Pyramid Head to make James realize that he had murdered his wife. In Silent Hill 2, the ending known as “Leave” suggests that Silent Hill (or Alessa, though she is not mentioned through this game) wanted to simply use James’s psychological fears to rehabilitate James so that he could move on from his misery. However, more disturbing endings suggest much darker intentions. The “In Water” ending suggests that Silent Hill wants to use fears against anyone who holds their pain inside. This ending suggests that Silent Hill actually wants to see its victim tear himself apart emotionally, and will drive the victim to suicide or insanity. Silent Hill is known to manifest itself into three, presumably parallel, worlds; The Real World, the Fog World, and the Otherworld. The least explored world, ironically, is the real world of everday life. It seems safe to assume that this is where the original, uncorrupted town of Silent Hill truly exists in a state of normality. It may be the version of the town experienced by Laura in Silent Hill 2. While largely ignored in the games, the Real World figures rather prominently into the Silent Hill film. While Rose Da Silva, Cybil Bennett and Sharon Da Silva are all trapped within that film’s representation of the Fog World and Otherworld, Christopher Da Silva and Thomas Gucci are searching for them in the Real World. The most frequented of Silent Hill’s worlds is the Fog World. With an unnatural fog rolling into town off of Toluca Lake, the streets of Silent Hill appear abandoned. Cars may lie wrecked along the side of the road, while buildings stand vacant and dilapidated. The most abundant form of life around are monsters, who roam about, unhindered. Many doors found throughout Silent Hill are broken, preventing access to a great many of the buildings there. This may be a result of the town, leading those who come here to their fate, whatever it may be. In some instances, snow seems to fall from the sky (or ash, as in the film and Homecoming). It has been demonstrated that the Fog World is, more or less, uniform between character perceptions. It should be noted that Michael Kaufmann in Silent Hill makes reference to the snow being an oddity, given the time of year. Another peculiarity lies within how many streets come to abrupt, unnatural endings. During the course of Harry Mason’s visit, the roads fall away, replaced by bottomless chasms. However, during James Sunderland’s visits, most of the streets are instead boarded up in an almost man-made way, with high walls covered in tarp, and in many cases actual road blocks and wooden boards. The final, and most dramatic, world of Silent Hill is the Otherworld. Appearing different to each individual, the Otherworld can be seen as a symbolic manifestation of a person’s psyche. For example, as generated by the mind of the badly injured Alessa Gillespie, Silent Hill has become incredibly dark and industrialized, with structures being composed of fencing, metal plates, fans, and piping. Smokestacks, windmills, and corpses also lend to the appearance of this world . Blood covers most things if not everything in this twisted world. This is considered the iconic appearance of the Otherworld. Contrastingly, for Harry Mason in Silent Hill: Shattered Memories, the Otherworld is encased in ice and snow, frozen over and glacial. For James Sunderland in Silent Hill 2, the town was merely a damp, dilapidated place, seemingly mired in a depressive state representative of his gloomy mentality. The symbolism behind a particular representation of the Otherworld differs from character to character, with Alessa’s injuries and fear of the Order lending greatly to her vision of the Otherworld, and Angela Orosco’s hatred of her father and abusive childhood experiences creating hers (walls appear to be made of flesh with pistons thrusting in and out of them and it is “hot as hell”, implying fire). Walter Sullivan had also created many Otherworlds through the Assumption ritual. Silent Hill isn’t the only area afflicted with this strange presence. On at least three separate occasions, locations outside of Silent Hill have become victims of this darkness. Shepherd’s Glen fell to this dark influence due to the breaking of a pact held between its founders and the old God, while Ashfield and Heather Masons’s town both have areas overlapping with the strange phenomena identical to those of Silent Hill. This is most likely due to the influence of those with strong connections to the town. The ambiguity of the Otherworld’s existence has led to many theories, the most prominent being that Silent Hill indeed does physically change itself into the Otherworld, that the characters affected by the Otherworld are transported to a parallel world , and–the most prominent theory–that the Otherworld is a hallucination projected by the power of Silent Hill in order to put the victim in their own personal hell.